The IPS e.Max is a highly esthetic material that gives us many choices to create life-like restorations. The restorations are pressed and finished to your specifications. The anterior restorations are cut back and layered with the e.Max Ceram porcelain giving a more natural appearance. For the posteriors, it is best to leave e.Max in a monolithic form for maximum strength. 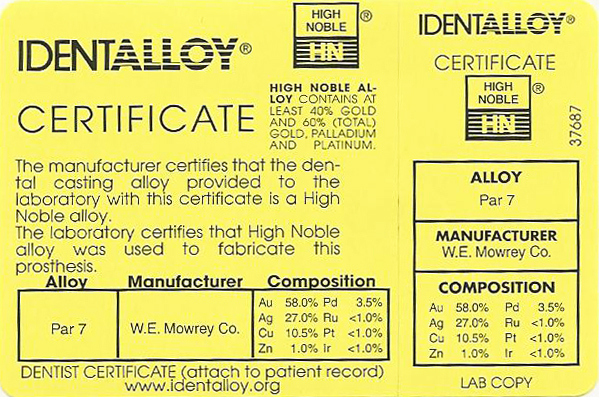 It has become a true leader in the dental market for highly esthetic all ceramic restorations. Bonding is the strongest recommended form of placement but can also be conventionally cemented. It is extremely important on veneers that the teeth are prepared below the tissue and breaking the contacts to ensure the spaces are filled to eliminate black triangles. Adequately reducing the tooth at the gingival gives the technician the freedom to create the best emergence profile possible. On the posteriors, it is equally important to make sure there is 1.5mm (minimum) of occlusal clearance. See our e.Max preparation guide. Zirconia crowns and bridges are used mainly in larger restorative cases to ensure maximum strength and durability. In comparison to e.Max, zirconia can cover a darker stumpf shade and is stronger for larger bridges. We still need adequate reduction, especially at the gingival, in order to conceal any undesirable staining on the preparation. Our layered zirconia restorations are designed using our state of the art scanning and design technology. We pay close attention to the design to ensure there is proper support for the layered porcelain to prevent possible fractures. Each framework is fit by hand and checked thoroughly by our technicians before the final restoration is constructed. 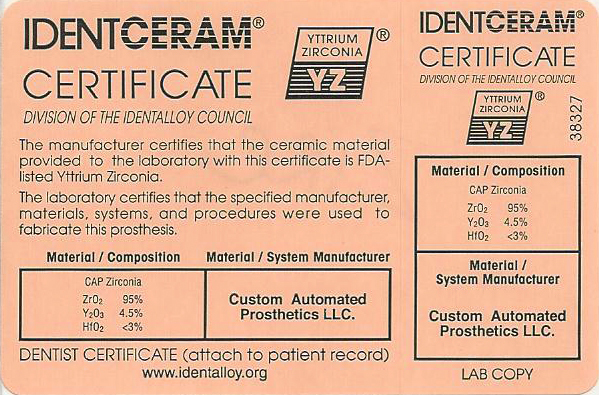 The ceramist layers the porcelain, paying attention to detail, form and individual characteristics of each patient. 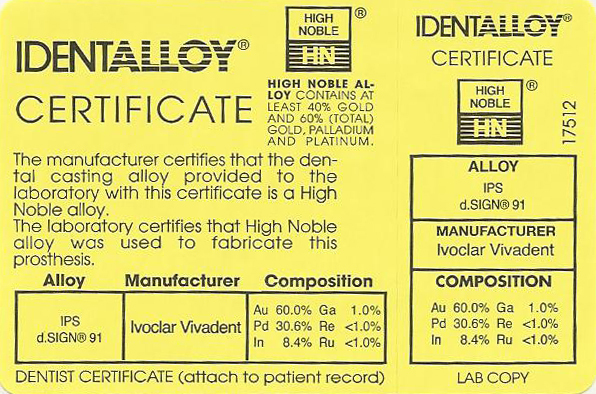 Our non-layered zirconia is also designed using our state of the art scanning and design technology. Each case is designed paying close attention to function and form. They are hand stained and sintered according to shade specifications. Non-layered zirconia is a great material to restore patients with bruxism. Our highly skilled dental ceramists strive to provide a restoration that delivers adjustment-free contact, fit, bite, contour, and shade. We use the highest quality porcelains with noble and high noble metals. Our PFMs are veneered with Vita or e.Max porcelains featuring abrasive qualities comparable to natural enamel and low solubility in the mouth. We offer a complete line of gold work, products that have been time tested for 100+ years.